This article will outline the differences between ECN brokers, STP Brokers, and the Hybrid Model (a combination of ECN and STP). It will help traders to understand the different types of brokers available, by comparing differences such as how they process orders, the lot sizes they allow, whether they require dealing desks or not, and much more! Unfortunately, many people wrongfully associate Forex (FX) trading with scams. The problem lies in the increasing number of unscrupulous companies marketing false information to traders. The number of Forex-related scams has significantly increased over the past few years, so it's important for you to be able to identify a hoax. After all, Forex trading should be a potentially profitable experience. When choosing a broker, always check if they are regulated by a relevant authority first. Simply put, if a broker is not regulated, your money is not safe. Every broker should abide by the rules of a financial authority. In the context of defending citizens from fraud, many countries have established private or state organisations to regulate the Forex market. Generally speaking, these organisations are actively supported by the government. Choosing a broker is the very first step you need to take to be able to enjoy your trading experience. But many people don't know the differences that exist within the range of fully regulated brokers. We usually refer to DD brokers as market makers. The infamous term "market makers" is used because these brokers usually take the opposite side of traders' trades. They make money through spreads, and through providing liquidity. They also try to find a matching long or short order from their other clients before taking a counter-trade or passing it on to a liquidity provider. They are known to offer artificial quotes, and orders are filled out on a discretionary basis. Contrary to DD brokers, Non-Dealing Desk brokers don't pass their orders to a market maker or liquidity provider. They use both STP and ECN technologies without a dealing desk, and route clients' trade orders directly to liquidity providers. This allows clients to access real markets with better and faster fills. It is a bridge between clients and liquidity providers, and there are no re-quotes when an order needs to be filled out. We differentiate between two types of NDD brokers: STP and ECN. STP (or Straight Through Processing) technology requires no dealing desk. All orders are routed to the broker's liquidity providers, and prices are executed at the bid/ask rate provided by liquidity providers. Liquidity providers in this case are hedge funds, big banks, and investors that effectively act as counterparties to each trade. Usually, the STP broker has an internal liquidity pool that is represented by different liquidity providers that compete for the best bid/ask spreads for STP broker orders. The other benefit of an STP broker includes the so-called DMA. DMA stands for Direct Market Access. Client orders are passed directly to their liquidity pool, so orders are filled out at the best possible price, with only a small mark-up spread by the broker. You should always aim for the broker with the most variable spreads. The reason for this is that brokers with variable spreads are able to pick the best bids from the liquidity providers within their own pool, and the best ask spread from another liquidity provider. This effectively means that the best possible spreads are offered to clients. The STP execution simply goes without any re-quotes, and due to its lightning speed, it is very suitable for traders who like to scalp and trade the news. A few years ago, the MetaTrader 4 (MT4) ECN seemed excessive. In fact, the initial reaction to this concept was that it seemed like something impossible. If an FX trader wanted to use the standard platform, they were supposed to trade solely with one broker. Nonetheless, the demands of the retail FX trader were ultimately heard, and MT4 ECN was subsequently developed. There are a lot of similarities between the STP and the DMA, but the primary difference is routing. As mentioned above, the STP can choose to deal with different liquidity providers out of their liquidity pool, while ECN acts as a form of hub. The hub acts effectively as the major liquidity source, because it is represented by banks, hedge funds, and all the big market players. They all get interconnected in order to find counter parties for the orders they are unable to handle internally. Another difference between the STP and the ECN is that most ECN trading is usually capped at a 0.1 minimum lot size. 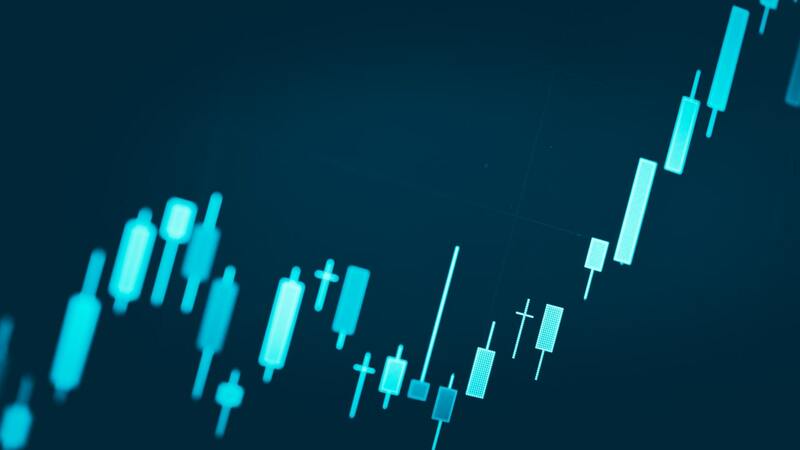 This is because there are very few liquidity providers that allow less than 0.1 lots, which has proved to be difficult for inexperienced traders who need to trade with smaller amounts of money, therefore a hybrid model has been developed as a solution to this problem. This is a combination of both ECN and STP. Usually, with this type of service, brokers are able to focus on providing great customer service and education – which is extremely important – and different types of market analysis. Blending the ECN or the DMA, and the STP models allows for a fully electronic Forex dealing service. This popular mix allows a Forex broker to fully automate the order entry, dealing with spread pricing, and the trade execution aspects of their deal execution business. It is arguable that the best model is the STP, although the hybrid model through the NDD is also an excellent choice as well. Admiral Markets offers Market Execution – the order execution mode is where a transaction is processed at the best price available on a trade server, and you can find more information regarding this in the account types section of Admiral Markets website. By applying the STP and ECN models, brokers can avoid market making. It is a win-win situation for traders and brokers alike. Brokers don't want traders to lose, they want traders to win, because they might earn more from the spread or the commission, the longer that traders trade with them.